In a weird bit of counter-programming, the USA Network has decided to cancel sci-fi series Colony in the middle of Comic-Con weekend, the time of year when genre TV shows are supposed to be bigger than everything else. The finale of the show’s third season is set to air on Wednesday, meaning it will now have to act as a series finale as well—most likely with the usual cliffhangers and dangling plot threads that an unexpected cancellation like this usually leaves. The series was created by Lost’s Carlton Cuse, and it starred that show’s Josh Holloway as a man living in a near-future Los Angeles that had been taken over by aliens. 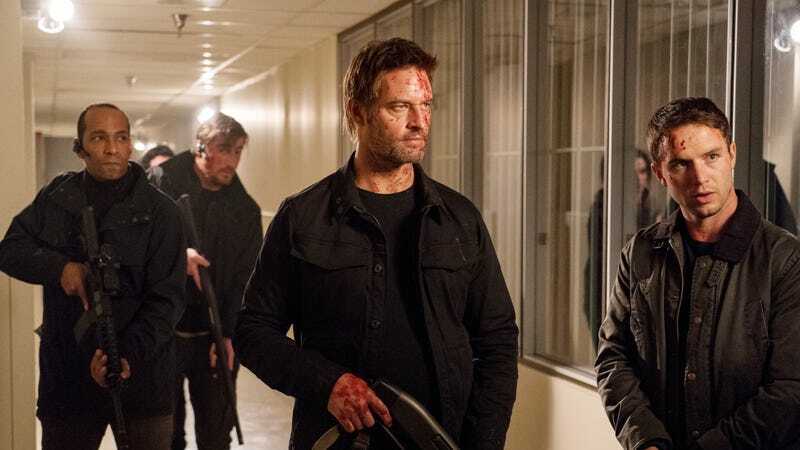 The Wrap notes that Colony’s first season had “strong” ratings, but the subsequent seasons have slid so much that its third season was averaging just over half of what it used to.